Do you remember your first time skiing at Laurel Mountain? It was the late ‘80s. I had just started skiing and snowboarding. My family would always go to Seven Springs and Hidden Valley, but one day we ventured over here [to Laurel Mountain] on a whim. I was overwhelmed at the terrain. I was young, maybe 15 or 16, and a decent skier, but it was unlike anything I’d seen in Pennsylvania before. 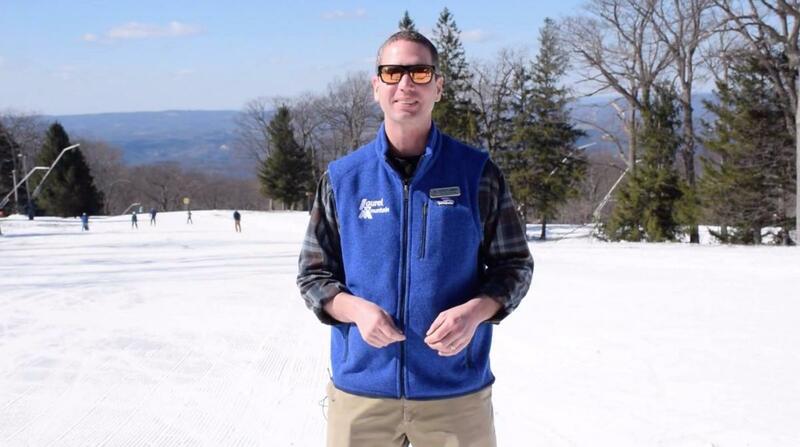 How did that 15-year-old starry-eyed teenager end up as Laurel Mountain’s General Manager? I lived in Lake Tahoe for 10 years but came back to the area to work at another resort in the Laurel Highlands. I jumped into the industry day one out of college and had always wanted to come back to Seven Springs because it’s home. When this opportunity came up, I personally moved my family to Ligonier, Penn., and we live there now and fully embrace the entire atmosphere and everything that is Laurel Mountain. How is the Laurel Mountain today not unlike the Laurel Mountain of the 1940s? When we started plans for renovation last summer, we looked at the walls of the lodge and everything that went into the craftsmanship of that building and we decided we weren’t going to touch it. We were going to fix it, but not change the bones of that place. We paid 100% respect to the history. The buildings here tell the story. You can feel it. It hasn’t lost that nostalgia for the heart of skiing. There’s a very unbelievably strong community up here that has been a part of the Laurel Mountain culture from the beginning and that still keeps the story alive and detailed and logged.